21cm Cone Vase in the Blue Volcano Design. Exclusive “one off” Design for Stoke Art Pottery. Numbered 1/1 on the base of the vase. This Anita Harris Art Pottery Cone Vase Blue Volcano Design. Hand Cast and Hand Painted in Stoke on Trent. Will make an excellent gift idea for a Christmas Present or a Birthday Gift. As well as a great gift idea for a wedding present. Or for a wedding anniversary. And we must not forget mother’s day. This vase is a exclusive “one off” design for Stoke Art Pottery. Numbered 1/1 and personally signed by Anita Harris on the base of the vase. The unique vibrant finish. Achieved by the reaction of the glazes. During the firing process. Requiring several firings. A process perfected over many years. 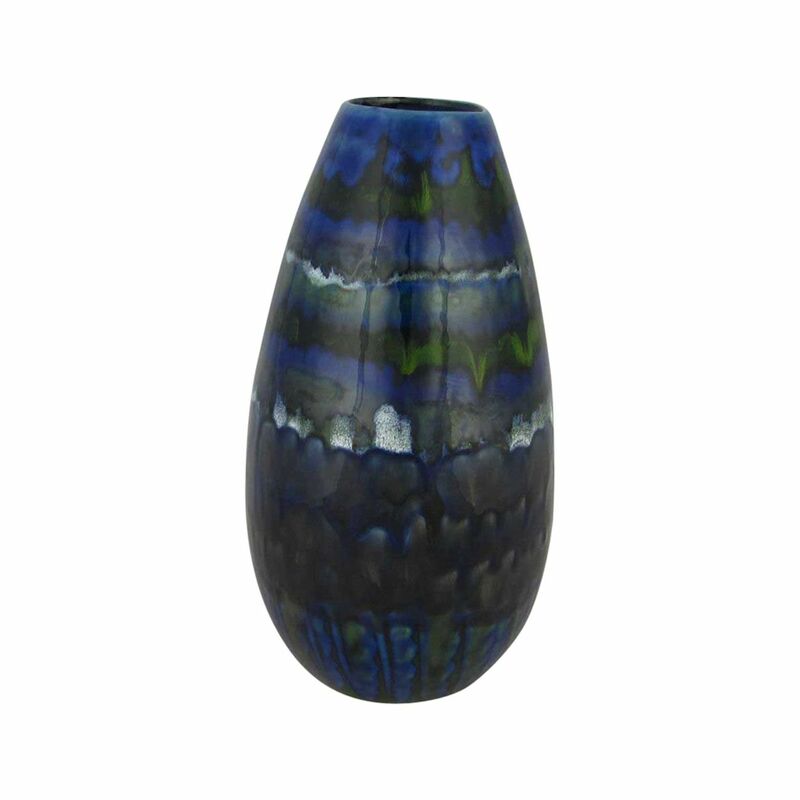 Our on-line price for this Anita Harris Art Pottery Cone Vase Ble Volcano Design is £89.95. Including UK postage.